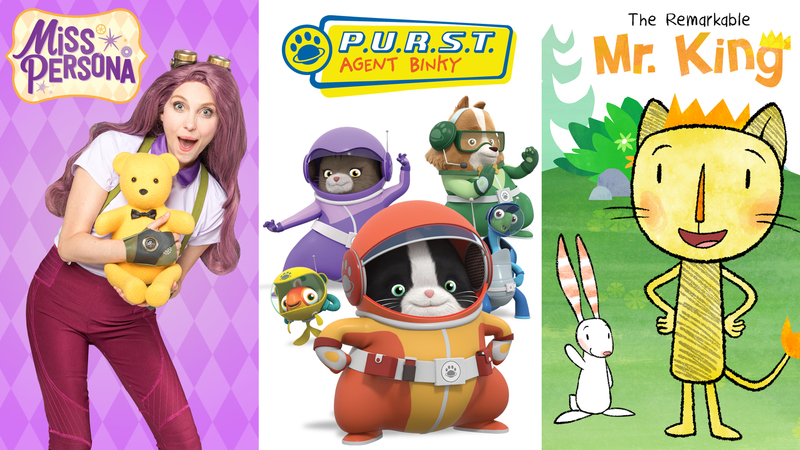 Canadian kids channel Treehouse has greenlit a trio of live-action and animated pre-school series from Corus Entertainment-owned producer-distributor Nelvana. The channel has picked up digital-first live-action programme Miss Persona (52 x 3 minutes), which will launch on its YouTube channel before joining its linear line-up in January. The programme centres on Kimberly Person who solves problems with best friend Brandon Bear. Elsewhere, Treehouse will also air animated series P.U.R.S.T. 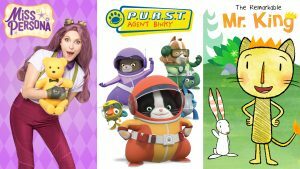 Agent Binky (52 x 11 minutes), which is based on the Kids Can Press graphic novels from Ashley Spires and follows the adventures of the agents, who must protect their families from aliens, robots and interstellar threats. The programme will air next autumn on Treehouse. Finally, animated programme The Remarkable Mr. King (39 x 7 minutes) is based on a Kids Can Press picture book series and follows a short-signed lion. It will also air next autumn on Treehouse. Nelvana will take the trio of titles to next month’s Mipcom market in Cannes.